Abu Dhabi, UAE (Jan. 8, 2017) - The price of crude oil, which has jumped 25% since OPEC agreed in late November to curtail supply in 2017, could get another boost in the coming months as geopolitical uncertainty comes center stage with the arrival of the “America First” Trump Presidency to claim a place at the top table of world leaders alongside Russia and China. This year marks the most volatile political risk environment in the postwar period, at least as important to global markets as the economic recession of 2008, according to the Eurasia Group in their annual report published last week on the Top 10 risks facing the world in 2017. It needn’t develop into a geopolitical depression that triggers major interstate military conflict and/ or the breakdown of major central government institutions, the Report said, but such an outcome is now thinkable, a tail risk from the weakening of international security and economic architecture and deepening mistrust among the world’s most powerful governments. Lebanon’s former Prime Minister H.E. Fouad Siniora and the UAE’s Minister of Energy Suhail al-Mazrouei will lead a group of regional and international speakers, which will include representatives from the U.S., China, and Russia, at The 8th Gulf Intelligence UAE Energy Forum in Abu Dhabi on January 11. They will provide a critical outlook on how geopolitical developments may impact the global energy industry in 2017. “No one is immune from geopolitics and so we all have a role to play in finding a steady path to succeed together. There is major changes underway in 2017 – the majority of which we cannot predict. Instead, we must focus on sustainable and long-term solutions that promote transparency, collaboration and unity on the geopolitical stage in the Middle East and beyond,” said H.E. Fouad Siniora, Lebanon’s former Prime Minister and Head of the Largest Party in Lebanon’s Parliament. The geopolitical outlook will be a driving force behind energy security up to 2020 and beyond, according to international energy analysts who will speak at the UAE Energy Forum hosted by New York University Abu Dhabi. Energy security lies at the core of human civilization and ensures access to water, food, shelter, medical care, transport, industry and endless other vital services. The complexity of energy security is going to intensify, as the US’ Energy Information Administration (EIA) expects global energy demand to soar by 48% between 2012 and 2040. BP’s Energy Outlook forecasts a 60% increase in energy demand in the Middle East by 2035. The world’s top energy officials will discuss how important developments last year will influence the outlook in 2017. For example, what impact will the U.S. become a net exporter of gas for the first time in 60 years have on Middle Eastern energy companies’ strategies, or the financial woes of the global shipping industry? “It is not the US, but OPEC that intends to control the oil market, Amos Hochstein, the special envoy and coordinator for international energy affairs at the US Department of State,” told a press conference in Baku Dec. 15. The U.S. government doesn’t affect how much the companies drill or produce, it is all based on prices, said Hochstein, who will present a keynote lecture at the UAE Energy Forum this week. 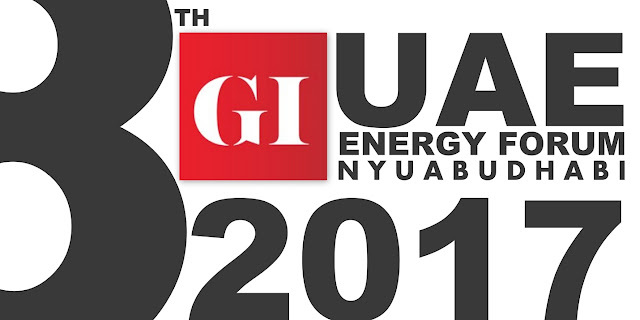 The Gulf Intelligence UAE Energy Forum will be hosted for the 4th consecutive year under the patronage of H.E. Suhail Al Mazrouei, the UAE Minister of Energy, who will provide his annual vision for 2017 in a one-on-one feature interview. The 8th Gulf Intelligence UAE Energy Forum will also bring the national energy industry together with their international partners to exchange knowledge and intelligence on the most pressing issues facing the global industry in 2017. Partners supporting the Forum are ADNOC, Total, BP, OMV, Occidental Petroleum, Wintershall and Mubadala Petroleum. Oil jumped more than 50% last year, its first annual gain in four years as OPEC agreed to reduce production for the first time in eight years. The Organization of Petroleum Exporting Countries and 11 other producers, including Russia, agreed late last year to decrease output by 1.8 million barrels a day starting this month. Brent crude, the global benchmark, rose 21 cents to $57.10 a barrel Friday, the highest close since July 2015. Gulf Intelligence facilitates knowledge exchange between stakeholders in the Middle East energy, finance, and healthcare sectors. The strategic communications and public affairs consultancy produces boutique industry forums and roundtable discussion series globally with an architecture that ensures all participants engage in a dynamic and competitive exchange of knowledge towards a shared goal. The Dubai-based firm assists Middle East companies and government entities to tap dormant intelligence and create knowledge reservoirs that can be utilized to bolster their profiles, to communicate with stakeholders and to overwhelm competitors.